LG had earlier launched a flagship device LG G4 that had a great success as the device had great camera with pretty decent specs and good in terms of usage. This year LG has launched another device LG G4 Stylus which is the successor of LG G4 not in terms of specs but in terms of design. As the name suggests G4 stylus the device comes with an additional accessory, i.e., Stylus attached to the device. If you have purchased this device and you dont find all the options in the user manual or Quick start guide then here are few FAQs that can help you to access your device with ease. How to take a Screenshot on my LG G4 Stylus? How to use the Power saving modes on the LG G4 Stylus? Are there LED notification lights on the device? How to use the Screen pinning feature on the LG G4 Stylus? What are the Pre-installed Apps on the device? Can I Move apps from phone storage to SD card on this device? What are the bloatware applications on the device? Can I remove the bloatware apps from the device? 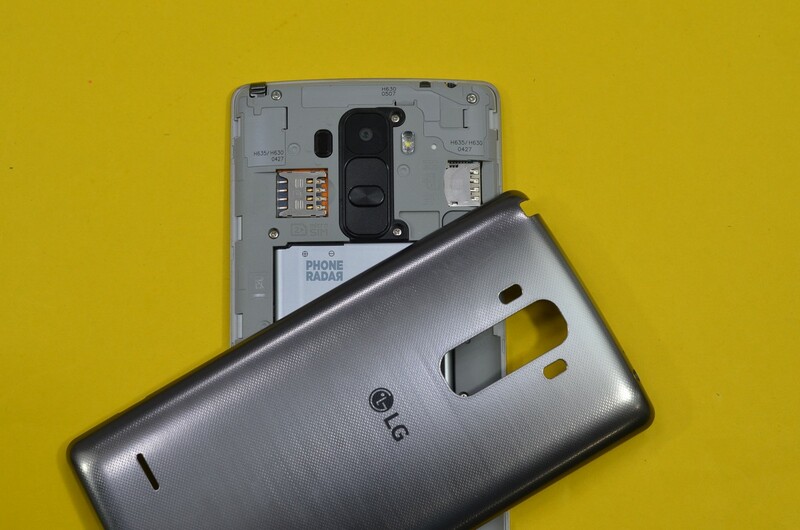 How much the internal storage on the LG G4 Stylus? What are Shortcut Keys and How to use them? What are the smart functions available on the device? Does the device support OTG? What is the SAR value of the device? What are the benchmarking scores on the device? Will the G4 Stylus get Android Marshmallow 6.0 Update? To insert a SIM on your device, Open the Settings, remove the back panel. The SIM card slots are present on the either sides of the volume lockers. Insert the SIM card in their respective ports as per the marked direction. Now put back the cover and boot your device. You have successfully inserted SIM on your device, and it will be ready for the use in some time. It is a dual SIM smartphone and supports dual standby. The SIM card supported by the device is Micro SIM Card. 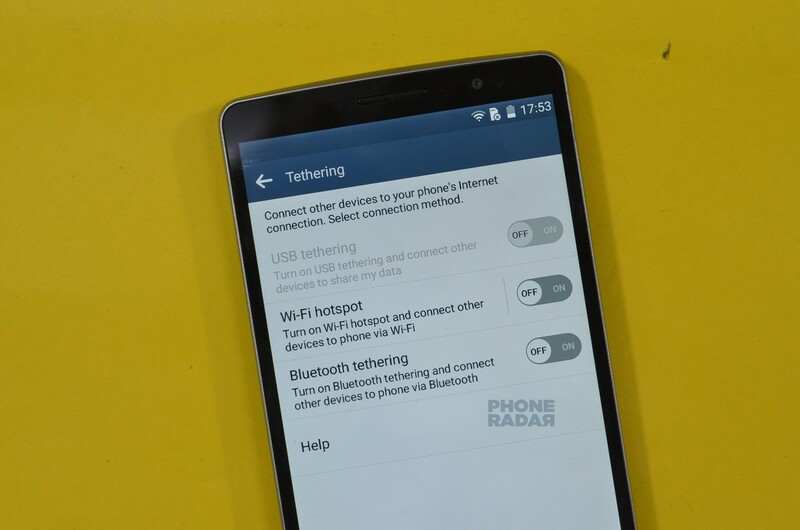 To share a Data Network over a device, Open the settings and tap in Tethering in the connectivity section. You will find all the tethering option. Now tap Wi-Fi hotspot and toggle the OFF button to enable that on your device. If you are using for the first time, then you need to set up the password for your device. To capture a screenshot on your device, you need to press the power/lock button along with the volume down button. The screenshot is captured and saved to the gallery. The saved screenshot is in .png format and can be accessed quickly from the notification panel. Android updates are helpful in fixing the minute bugs on your device. To check for updates on your device, Open the settings and switch to the general column and tap on About Phone in the phone management section. In the new window, switch to the Common column and tap on Update Center and click on Software Updates. In the new window tap on ‘check now for update’. The device checks for update and if there is no update available then a message stating Your are using the latest software version for current OS is displayed on the screen. External apk can be installed by enabling the Unknown sources option on your device. To install an external app, Open the Settings and switch to the general column. Now head over to privacy and tap on settings and click on Unknown sources in phone administrators. A pop-up appears on the screen and click on OK button to enable that on your device. Now you device is ready to install any external apk on it. 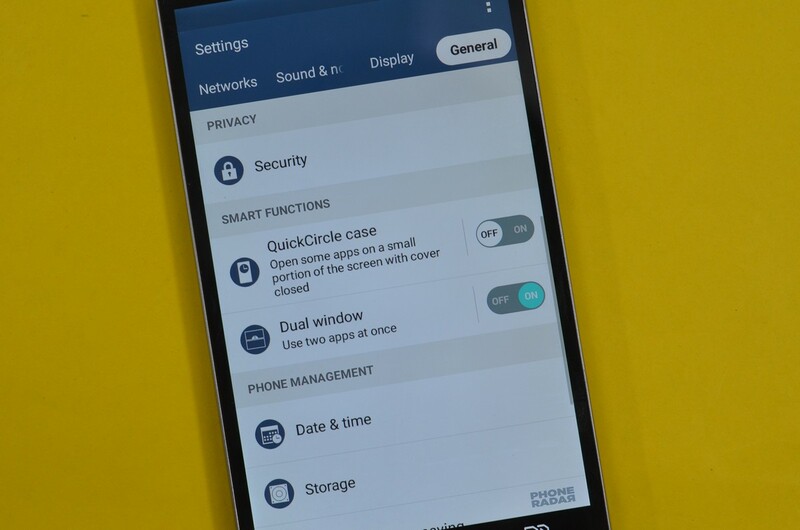 The quick settings in the notification panel can be customized on the device. To customise the options, Open the notification panel and head over to Edit button and tap on it. Now select the option by tapping on the checkbox that you want them to appear on the screen. You can set select upto nine options on the screen where and these options will appear in two layers where you need to swipe it from right to left to check the other options. Direction, Acceleration, E-Compass, Proximity and Rotation Vector are the sensors available on the device and helps in automating the device. Yes, the device comes with LED Notification lights, where you need to enable them on your device. To use these lights on your device, open the Settings, Tap on Sound and Notification LED and toggle the off button to enable them on your device. One its enabled can find options like incoming call, missed calls& messages, Battery charging & Download apps. Just tap the check box adjacent to them to get a notification light. Screen pinning Option is available for the device that comes with Android Lollipop on it. To use this feature on your device Open the settings and head over to the general column. Now scroll down to the Privacy section and tap on security. In the advanced settings, tap on screen pin and toggle the off button to enable that on your device. To use this feature, Open the recent menu and tap on the pin button that is on the bottom right of the device and tap on yes. You have successfully pinned app on your screen. Now press and hold the back and the recent key to unpin the screen. The devoice comes with few basic tools like calender, calculator, clock etc; SmartWorld, LG Backup and all the google related apps pre-installed. 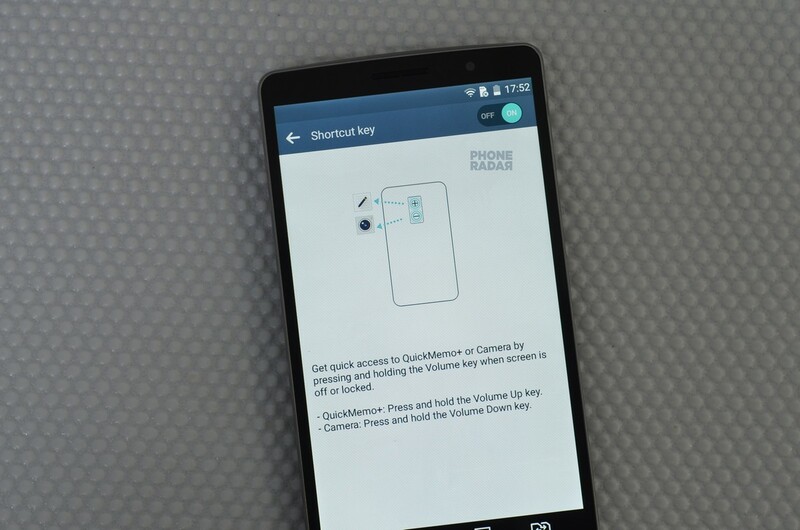 Shortcut keys help you to open the QuickMemo+ or the camera application directly when the screen is Off. To use this feature on your device, Open the Settings head over to the general column. Now tap on shortcut keys in the personal section and toggle the off button to enable that on your device. Now lock your screen and use the shortcut feature by pressing the volume down button to open the camera and press the volume up button to open the QuickMemo+. Yes, there is an option available in the device where you can move apps from internal to SD card on your device. To move an app from internal to external storage, Open the settings and switch to the general column. Now head over to Phone Management and tap on Apps and click on the app that you want to move. In the App info window tap on move to SD card and you have successfully moved an app from internal to SD card on your device. The bloatware apps cannot be removed from your device, but you can disable them if you don’t want to use it on your device. The device comes with 16 GB as its internal storage and around 10.63 GB of free space is available for the user. The Smart Functions available on the device are Quick Circle case and Dual Window. Quick Circle case option must be enabled when you use the additional case with the box as it will display the Clock in the circle. Dual Window is the option where you can split the screen and operate two applications at a time. To enable these features, open the settings and tap on dual window and toggle the off button to enable that on your device. To use this feature, Open the recent menu and tap on Dual window and select the apps that you want to use. The device comes with 1 GB RAM out of which around 422 MB of RAM is free when no apps are running on the device. No the device doesn’t supports the OTG. The highest SAR value of this model for the ear is 0.645W/Kg and when worn on the body is 0.522W/Kg at 15mm, which is safe. Benchmarking tools are helpful to know the performance of a device. After testing the device with various benchmarking tools here are their respective scores. The device runs on Android 5.0.2 Lollipop and the company is working for the Android 5.1 update. The brand has mentioned about their work for the Android marshmallow update and said that our devices would be getting the latest updates soon and we can expect the update by the end of the year. These are the general questions which a user search for when you purchase a new device. If you need any additional information of this device or else any other device then you can pass your query in the comment box below, we will get back to you.